The Chuango G5W alarm system is a powerful security system that leverages a backup power system and compatibility with 3G sim cards to ensure that your security will always be active. 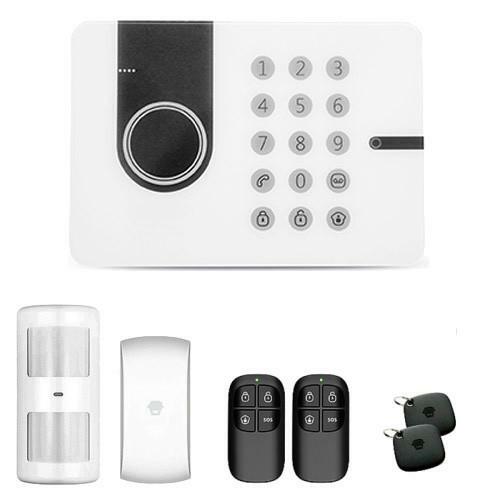 You can buy this system for $339 RRP in Australia and this will provide you with all the components necessary for a basic security system. The Chuango G5W alarm system is easy to install and has built in contingencies for intruders. The main power unit is the only component that needs a power supply the rest operate wirelessly. The ability to add a 3G Sim card is a good extra line of defence should you power go out the Chuango system will still be on and able to send notifications to alert you. Unfortunately, this SIM card will add to the cost of the whole setup, though there a plenty of relatively cheap SIM cards you can plug into the device and pretty much set and forget. One option for an easy and cost-effective 3G SIM card plan would be ALDI's Pay As You Go. You can purchase a SIM for $15 on this plan with $5 credit included. The credit loaded will also last 12 months. The 3G Card won't actually use data it functions as a basic phone for SMS and Calls. Simple and elegant design and easy to install yourself. The control panel acts as the central nervous system for your security system. The Chuango G5W system has multiple tools to control the devices - you disarm/arm or guard the system via the app, remote controllers, text, phone call or typing into the panel itself. The control panel can only be interfaced with numbers you authorise. 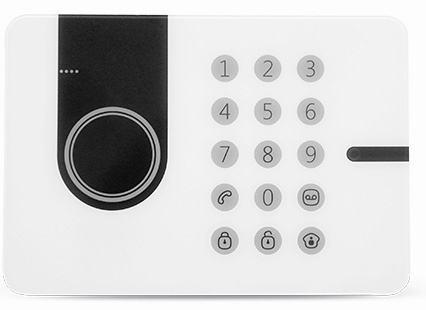 A unique feature of the control panel is that you can use the panel as a basic phone, you can make calls directly from the panel itself. You can also program speed-dial numbers of your choosing. As a side note here the Control Panel uses a 3G card but the 'phone' functionality only extends to calls and certain SMS commands, it won't use or need your data to run there. The control panel can also be set to alert you on movement within the house or when door/window sensors are triggered in the ‘disarmed’ state. This state is not the same as the armed state and will not trigger the siren. The control panel can also be instructed to send alerts to multiple numbers via text messages in the event the alarm is triggered in the ‘armed’ state. 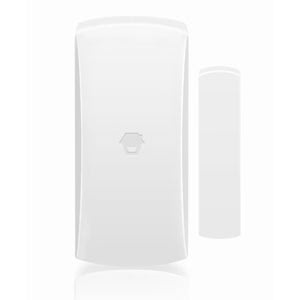 The Chuango Pet immune PIR-910 motion detector is fully wireless and can be mounted to your wall with the mounting kit provided. 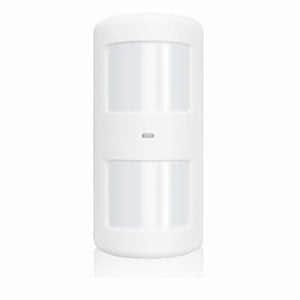 The motion detector has an 8m and 110-degree field of view. The motion detector states that it is pet immune, but there is a size limit of approximately 25kg. The door/window sensor is simple and effective. When the reed (right) and switch (left) are separated, this will activate the sensor. Depending on your houses security state (armed, disarmed, guard) the alarm system will respond in different ways. If your house is armed or in guard this will trigger the entire system, designated messages will be sent, and the siren will be activated. The disarmed status won’t trigger anything unless you have the system set to beep whenever a door is opened, kind of like a doorbell for every door. 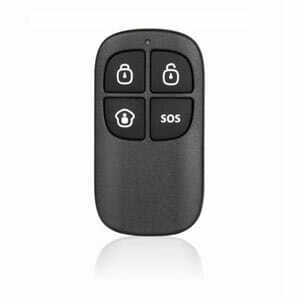 The remote control looks like a garage door opener and can be used to quickly arm, disarm, guard and SOS (Panic button that will immediately trigger the entire system). 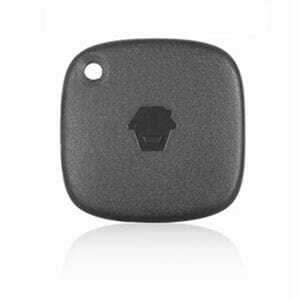 The Chuango G5W system comes with two RFID tags that can be connected to a set of keys for example and then used to disable the system. These tags can also be named so that you can get alert when somebody has arrived home. 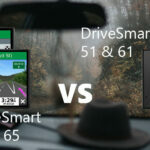 Compatibility with other systems is becoming more popular with more security system. The Chuango G5W alarm system, however, is not compatible with any smart home accessories like Google Home, Alexa or Phillips Hue. 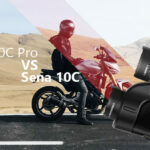 There are security systems like the Smanos K1 Hub that are built around this smart home compatibility but this particular decision is likely going to boil down to personal preference. In a certain regard though this might make the system more secure as it limits the number of potential access points, a potential digital intruder could access your security through. Whew. That’s a lot of accessories, I highly doubt you will use most of these, but a couple of these would be useful for specific situations. I actually told a friend about the water sensor as he’d recently had an old mixer hose burst while he was out and this would have saved him a lot of hassle. You still won’t be able to solve the problem, but this could save you a lot regarding how quickly you get back in time to fix the problem. Chuango has a couple of backups and contingencies in place as I’ve mentioned previously like the anti-tamper switches, backup power, anti-jamming measures and compatibility with the 3G network. The Chuango system, however, is not monitored which means two things firstly no ongoing costs to your security system but the responsibility of monitoring and acting upon the system's alerts is on you. Personally, I find this better, I don’t like monitoring companies as there is plenty of evidence around to show that they don’t make a huge difference and often enough will still take too long to respond to help. A lot of companies will promise 30-minute response times but that’s still too long. As soon as your siren goes off the burglar knows that they have a very limited opportunity and will turn it into a smash and grab. This, of course, is just my opinion and should be taken with a grain of salt. Ongoing monitoring by security professionals might be perfect for your situation and will help you and your family feel more secure and if that’s the case then I can happily say the Chuango system is not for you. All in all, the Chuango system is a powerful home security system that is relatively easy to install and setup yourself. The DIY approach is good at keeping overall costs down, additionally, most of the accessories are quite cheap should you want to expand your security sensors. I have two sticking points for the Chuango G5W system, one is that for the cost of the whole alarm system I would like more than one Door/Window sensor. The other is that there is a lack of compatibility for having a motion sensor camera at the front door. 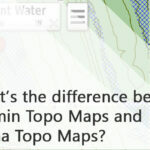 Summary – Is it worth it? How secure is my security system, what backups and contingencies are in place and how much will the overall cost be (including accessories)? I’ll answer the first question, the Chuango G5W system is very secure but as with anything has its own share of potential problems. All the Chuango devices have anti-tampering switches so should a burglar attempt to disable them by removing the batteries or disarming it some other way this will alert the system. The whole system is also wireless so should anyone attempt to cut a wire to shut off power the accessories will still function as normal and the main control panel will switch to its backup power supply and alert you that power has been switched off. Some security system would fail at this point even if they did have a backup power supply as when your power was turned off your internet would turn off as well. Chuango uses a 3G Sim card which means it will still be able to message you. The only potential point would be jamming the signal sent by the security devices. A jamming device on the correct frequency/frequencies would inhibit alarms/triggers being sent to the control panel which would prevent the system from alerting you. This method would require a very dedicated person though as Chuango has a jamming detection which will switch frequencies when it thinks it’s being jammed and if armed trigger then alarms system. The person would need to have a broad spectrum jamming equipment and be within a certain distance of you to even attempt this though.